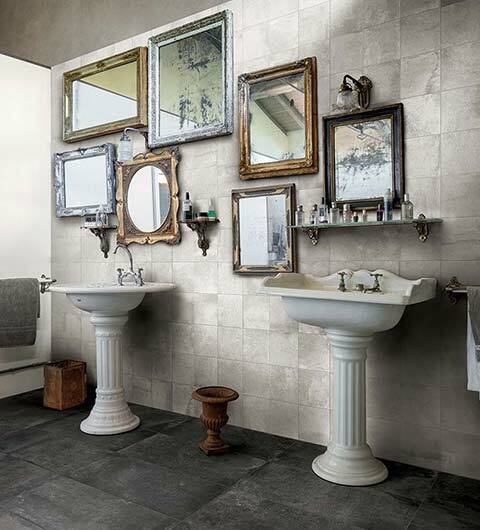 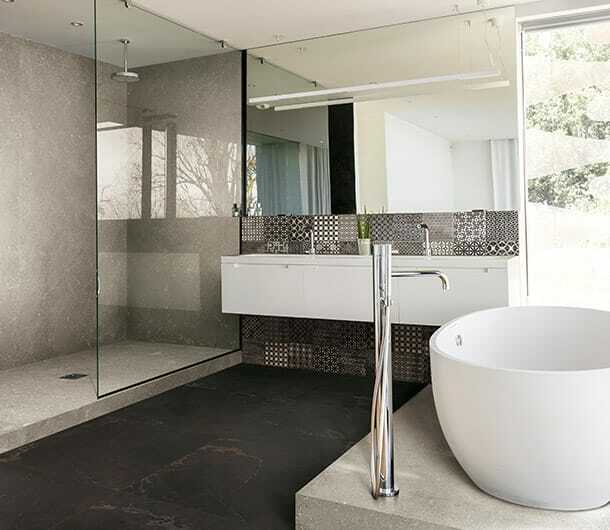 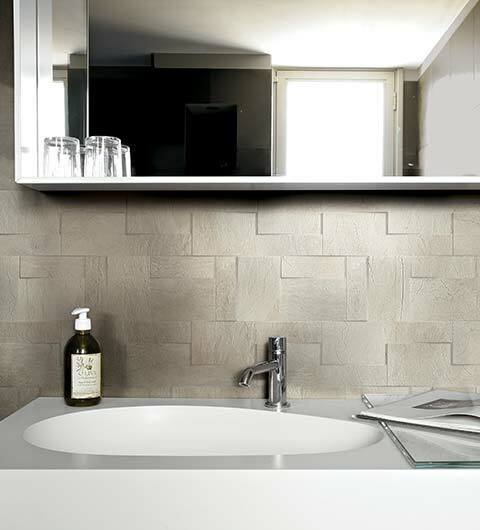 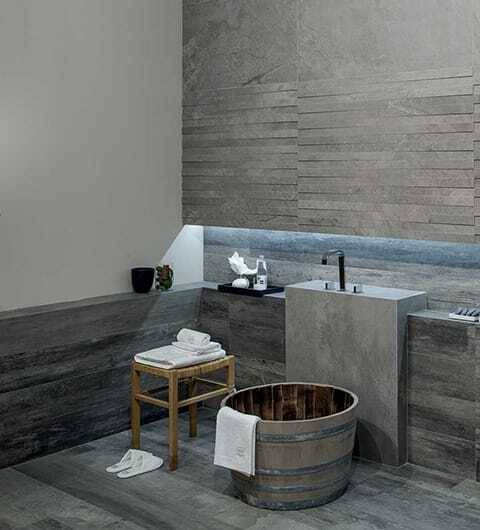 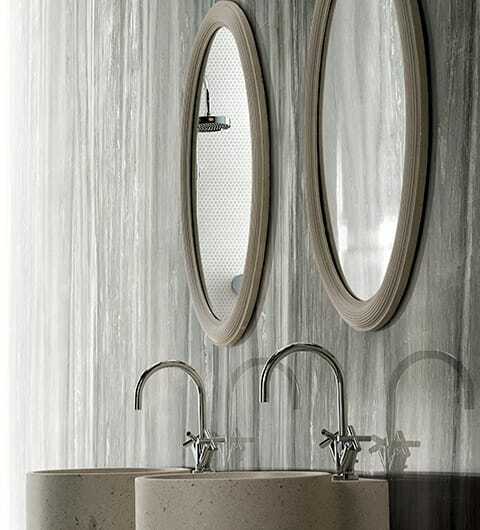 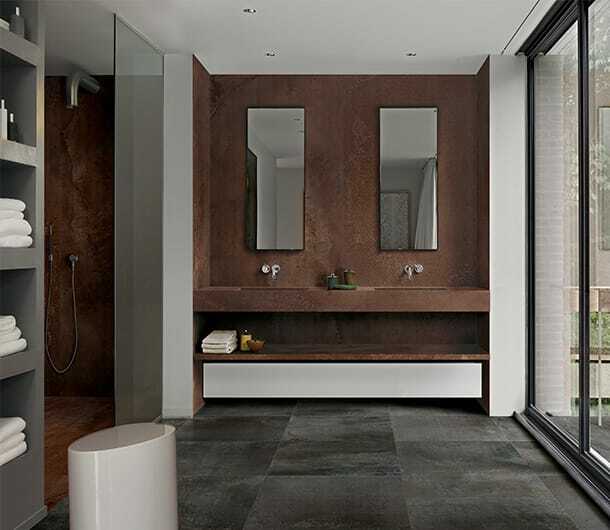 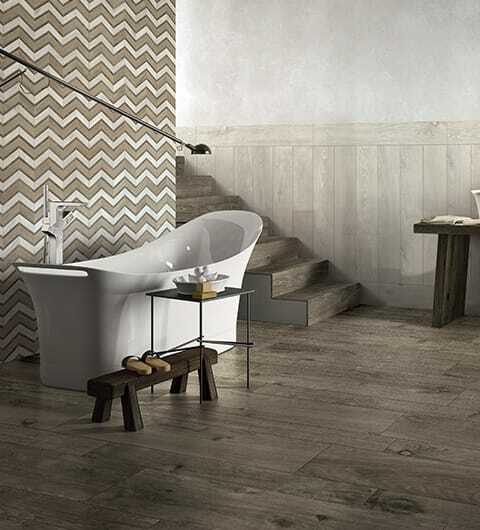 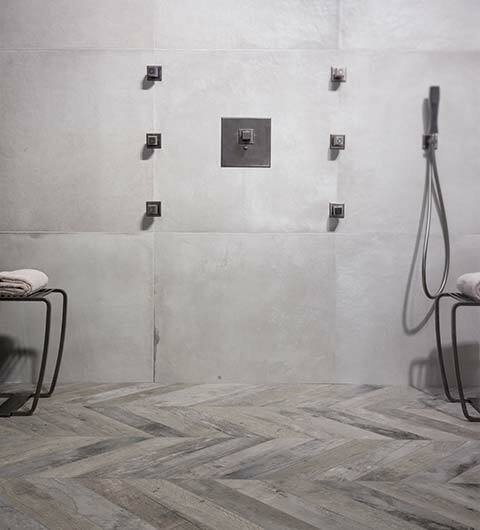 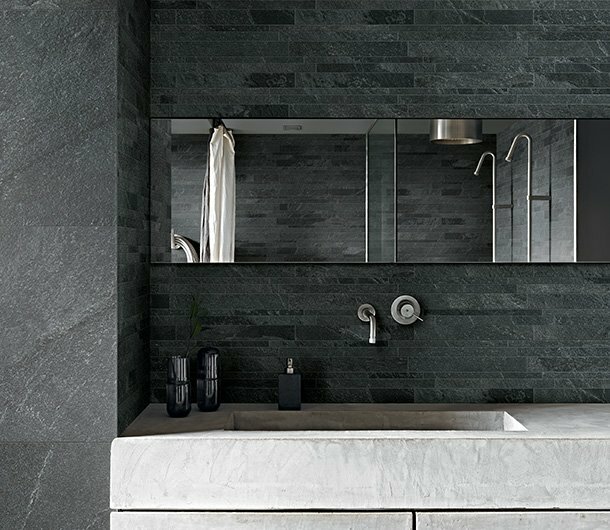 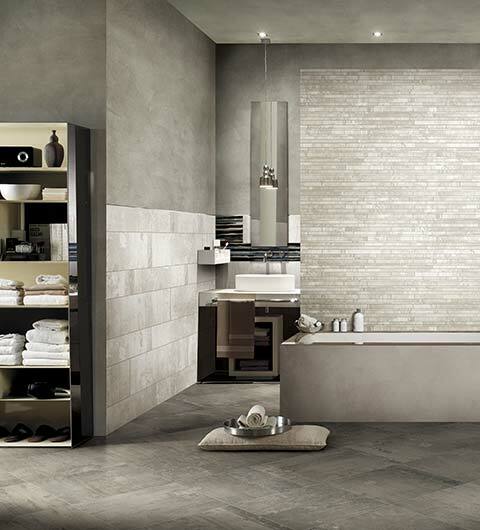 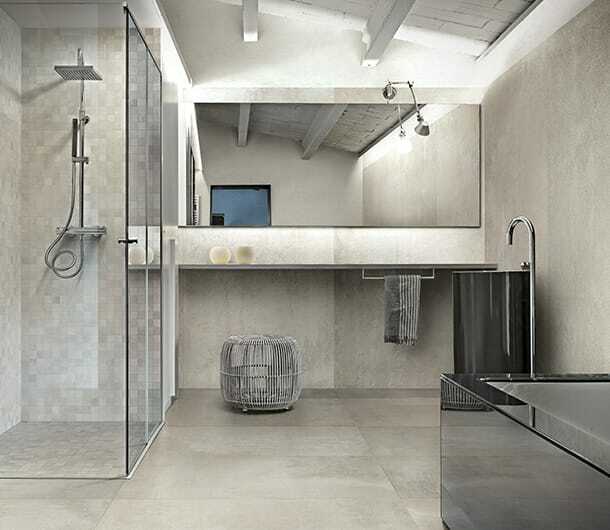 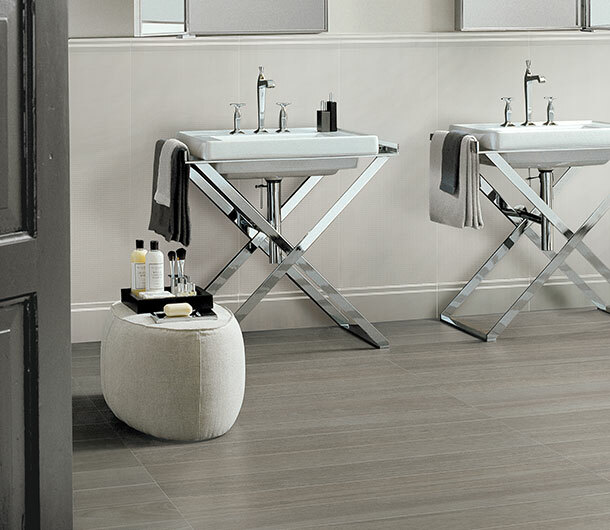 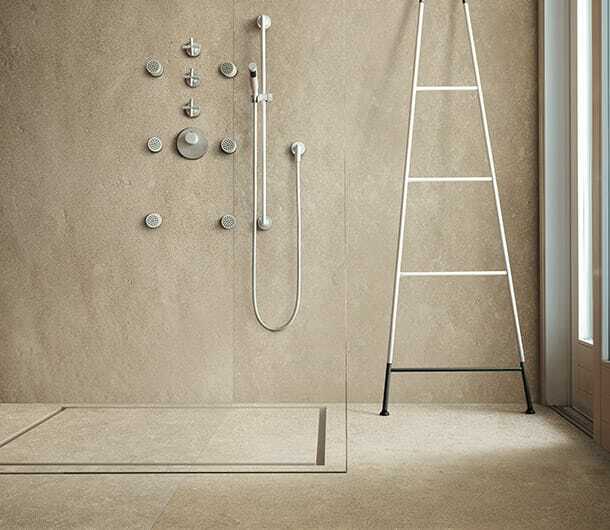 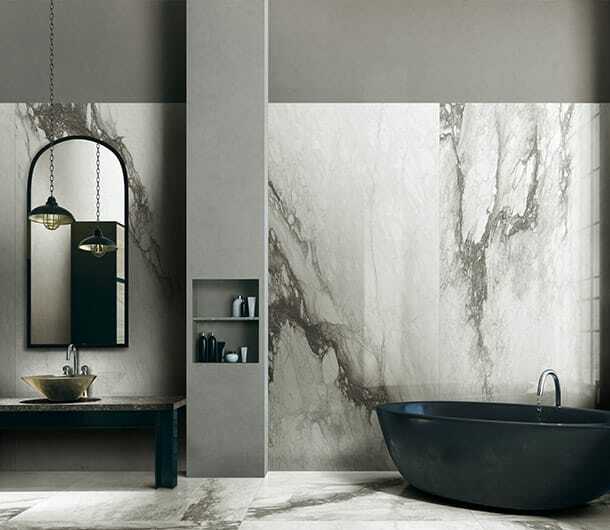 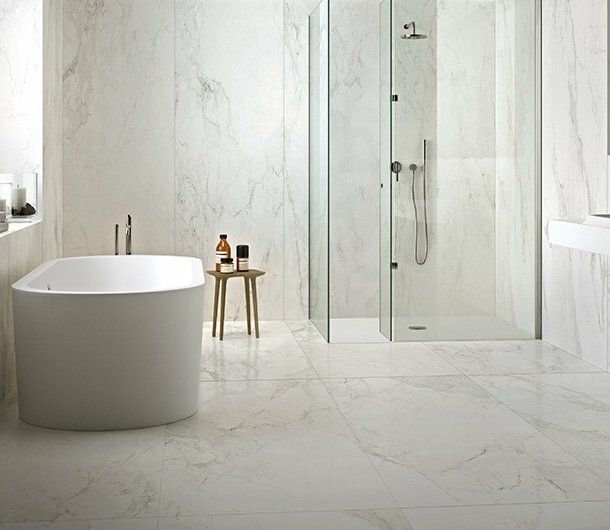 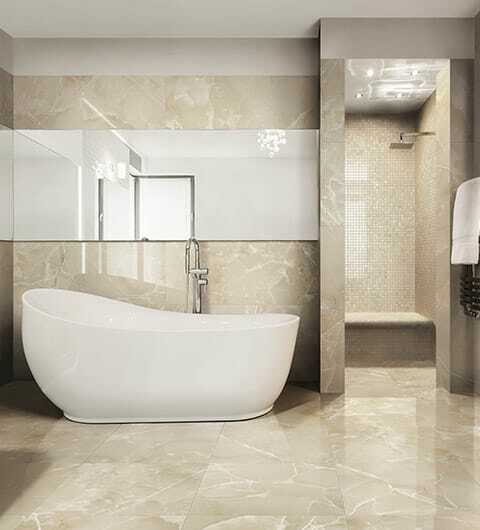 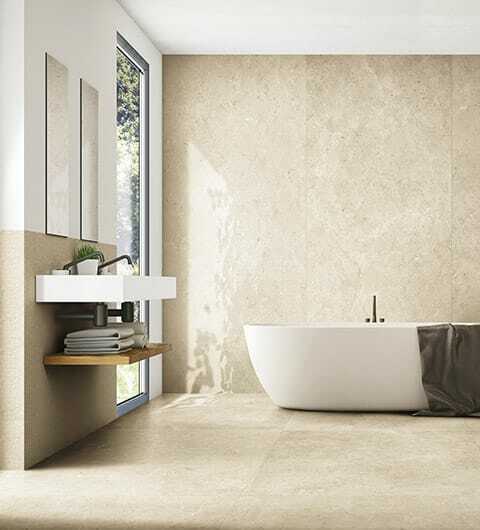 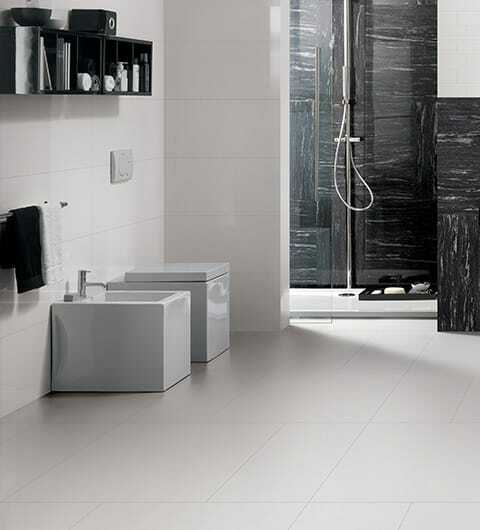 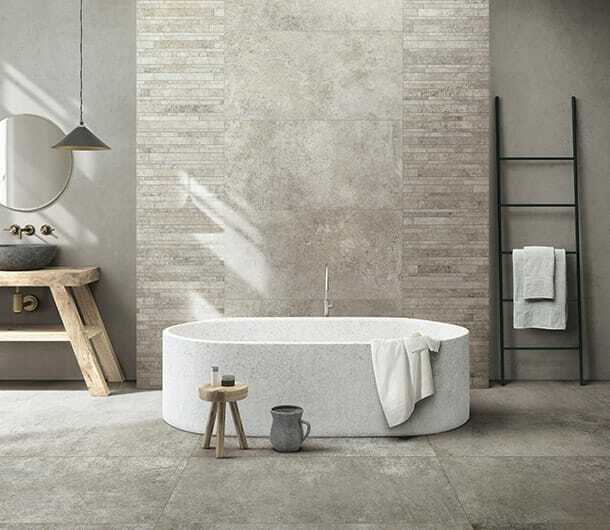 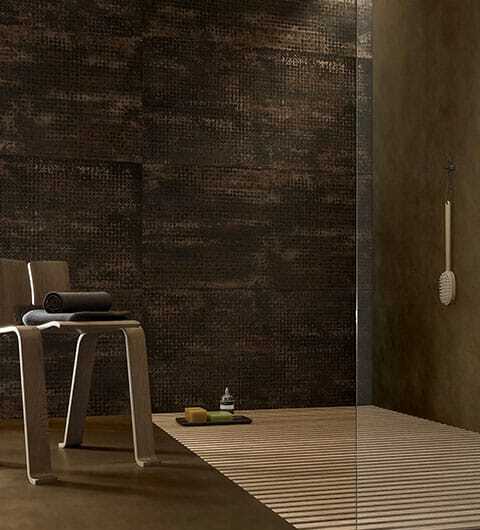 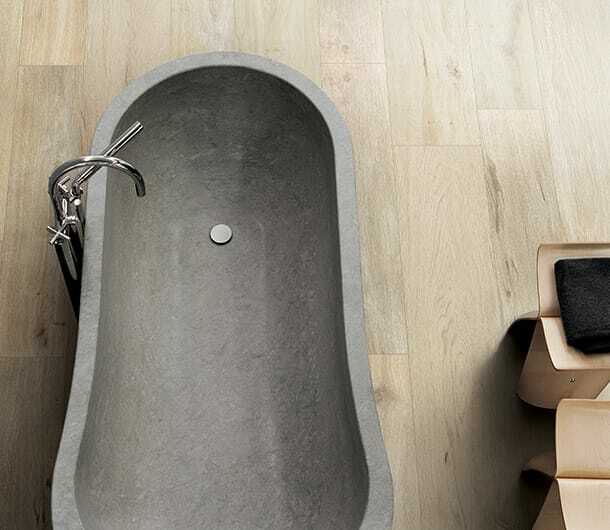 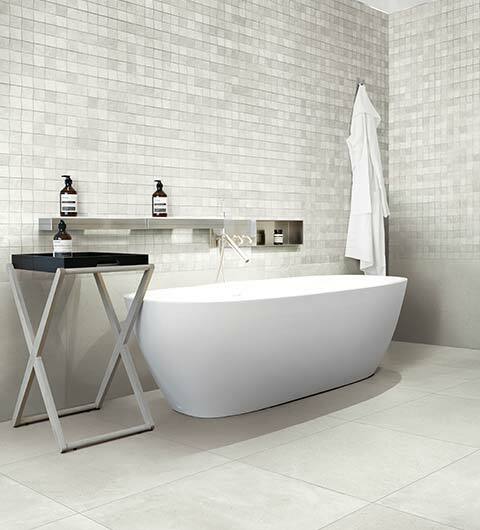 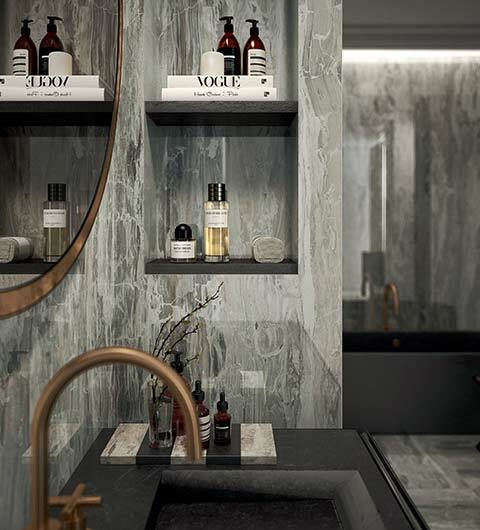 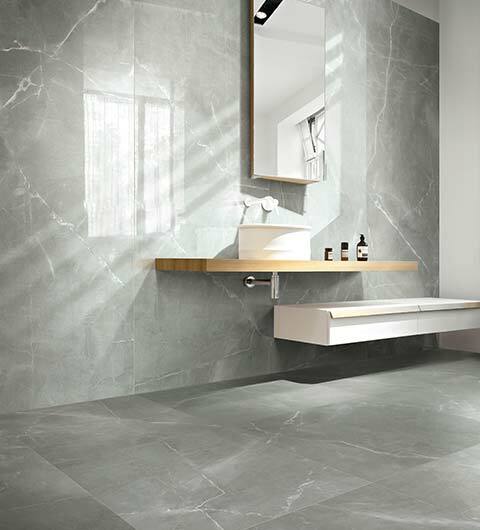 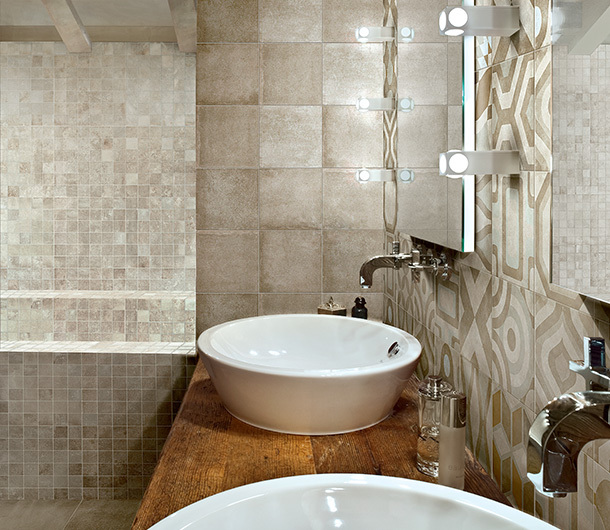 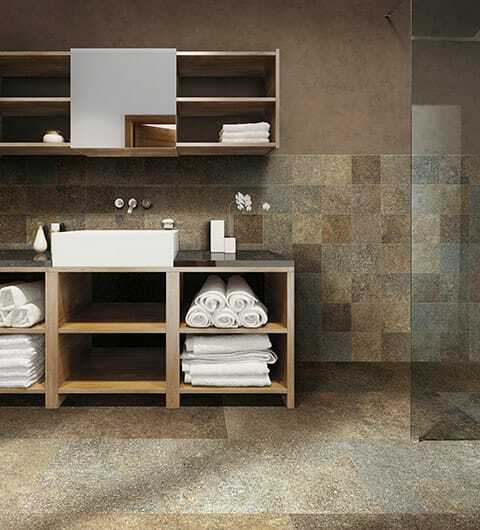 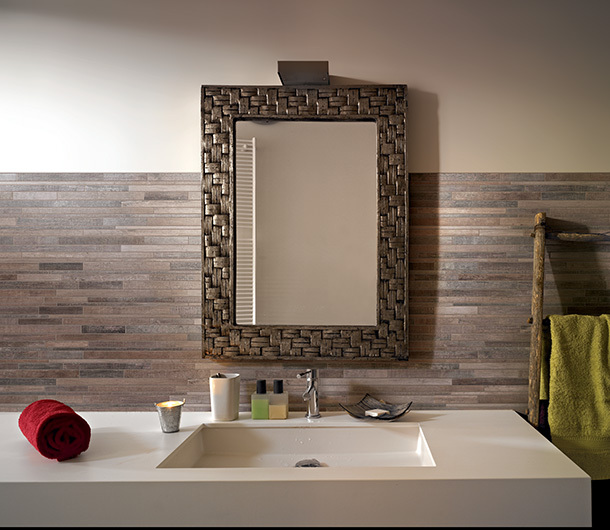 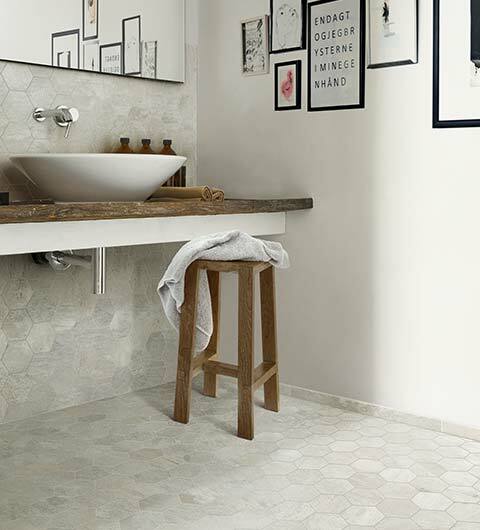 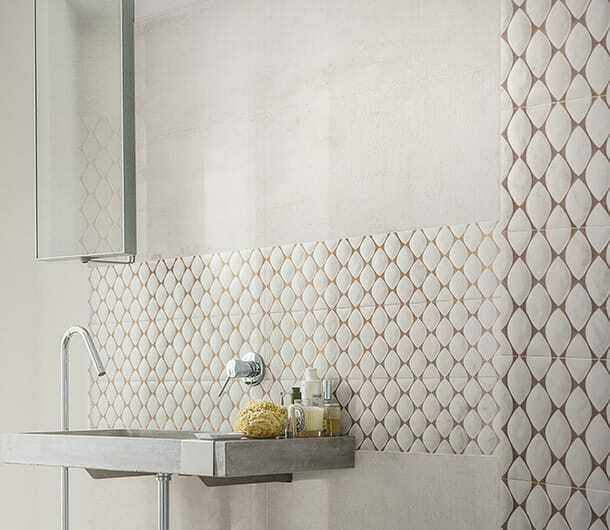 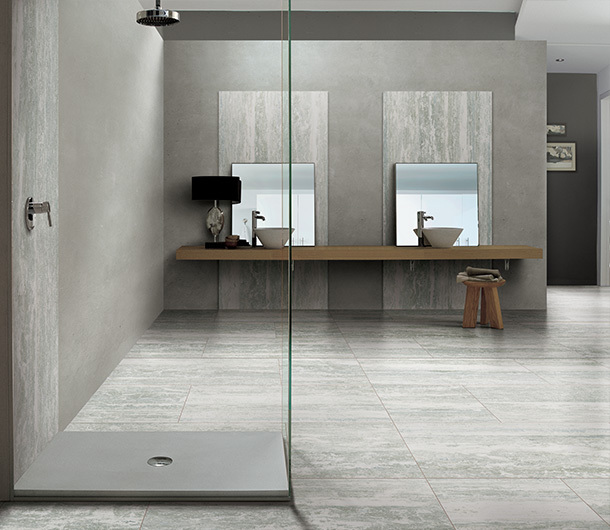 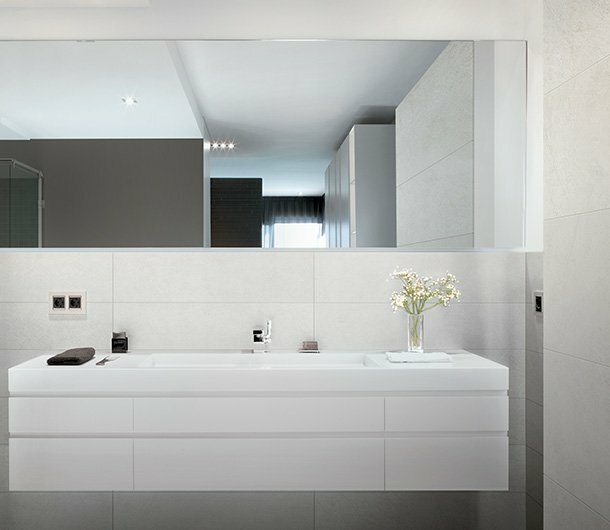 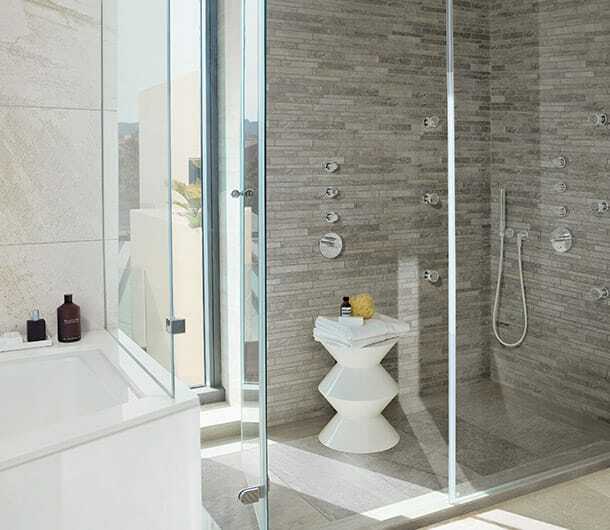 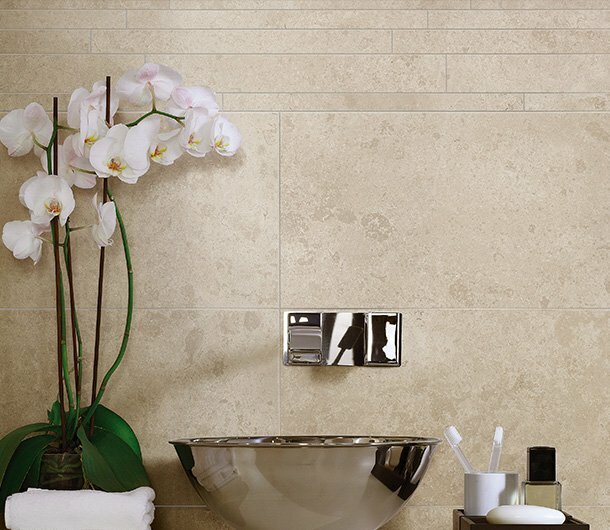 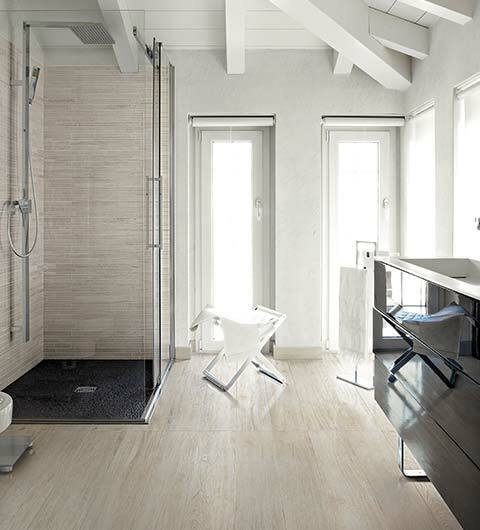 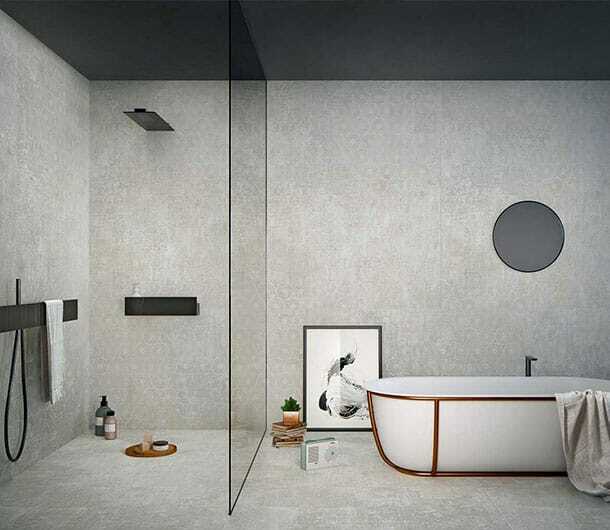 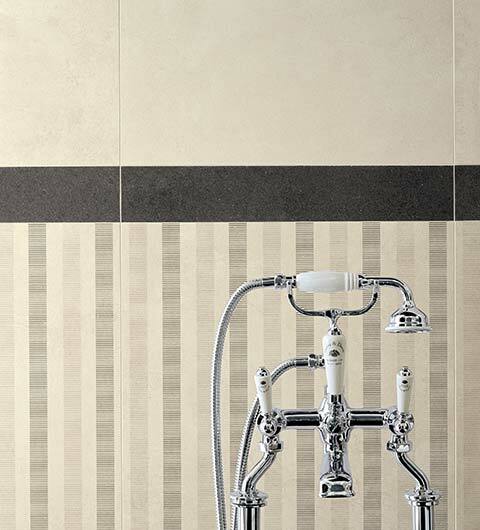 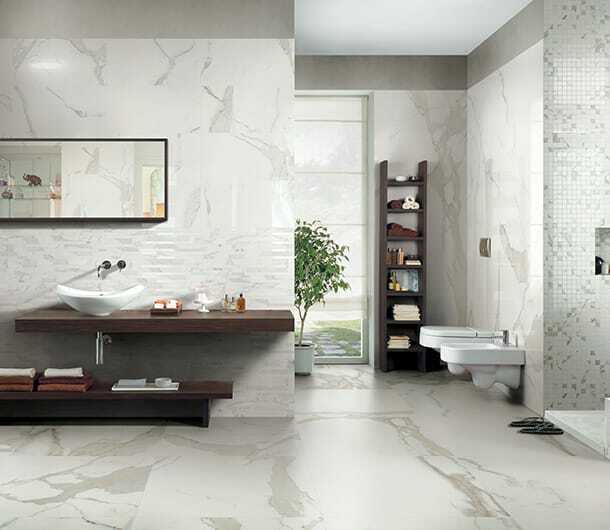 Bathroom tiles | Florim Ceramiche S.p.A.
Offering a perfect balance between simplicity, attention to details and warm atmospheres, Florim tiles are ideal for tiling the bathroom area, on both walls and floors. 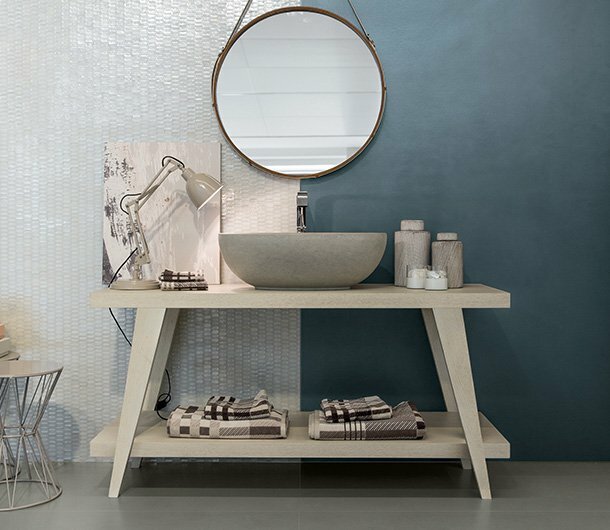 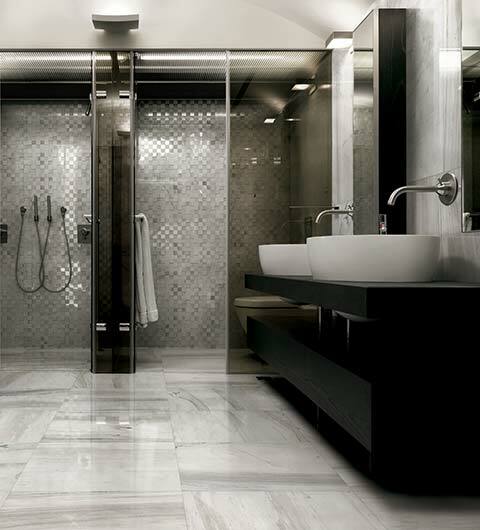 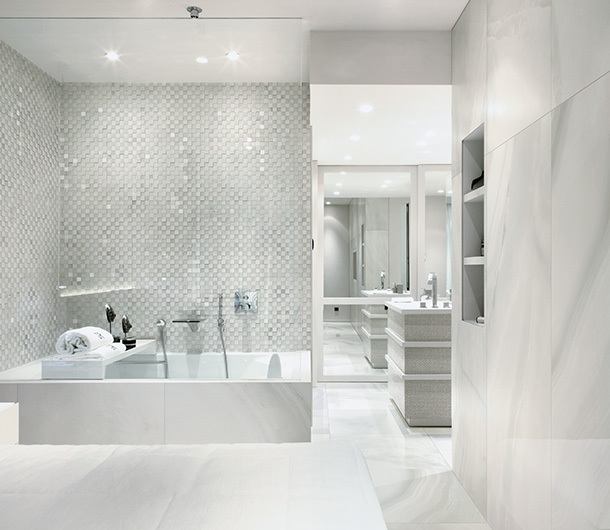 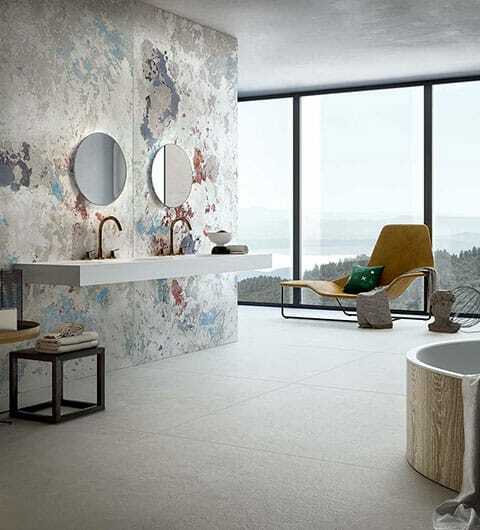 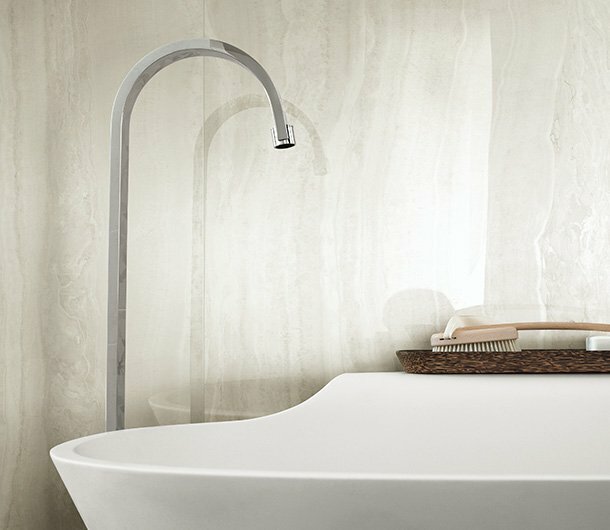 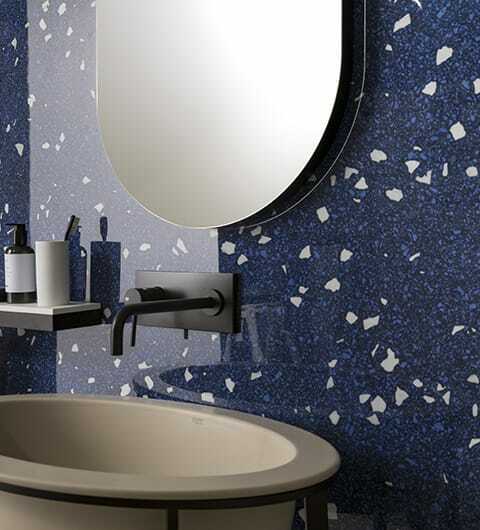 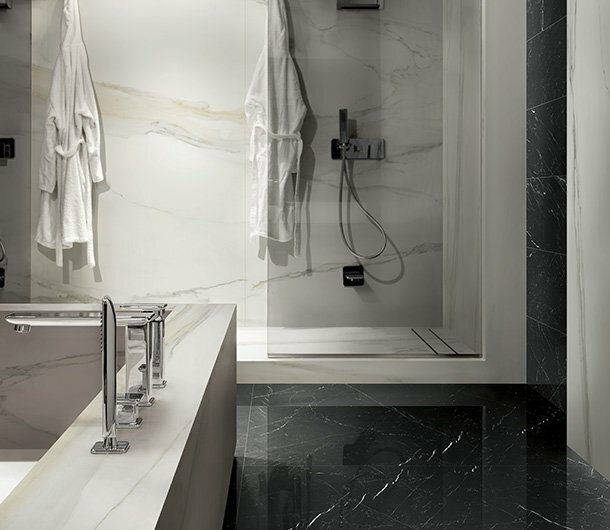 Thanks to slabs, mosaics and decorations available in various sizes, colours and finishes, bathrooms become unique environments that associate a personal style to a relaxing activity. 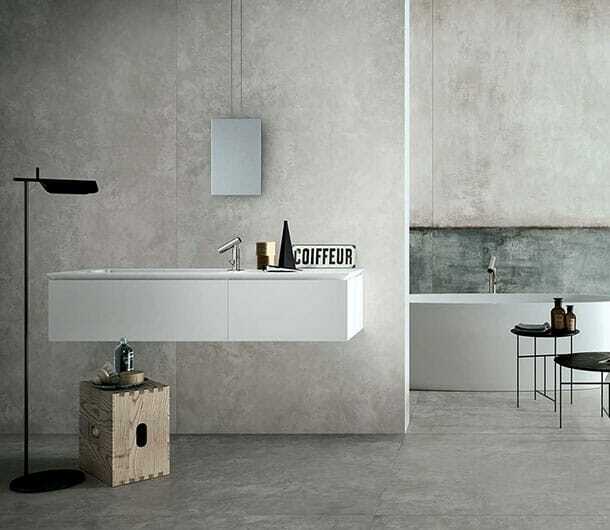 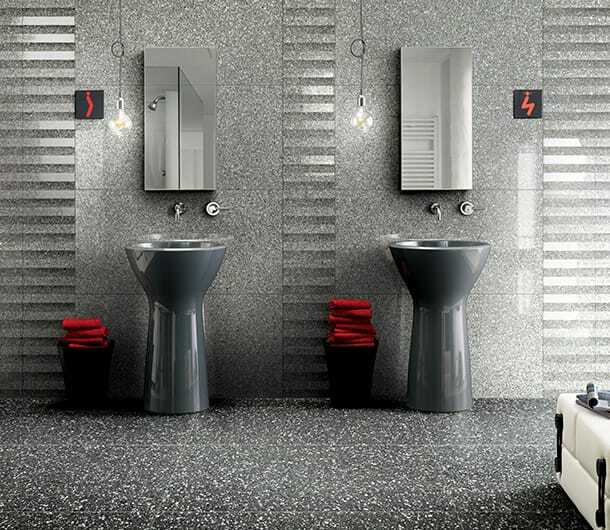 The surface finishes with design appeal and the vast product range of Floor Gres bathroom tiles provide versatile solutions and ideas for any requirement and style.